In the fairie world, there is only one top designer of couture and accessories. . . . Extraordinary production elements, including three specially selected paper stocks; metallic inks; fold-out booklets; vellum envelope with removable fashion card; and numerous half-, third-, and quarter-pages, notably to showcase garments for a playful mix & match, offering dozens of outfits to create. Drawings by celebrated fashion illustrator David Downton, capturing the graceful, but rarely glimpsed, fairie attired in Ellwand’s designs. Witty and delightfully romantic captions by Eugenie Bird. A breathless narrative by a young fairie guiding us from The Season’s start through May Day revelry and a Fairie Tale Wedding. 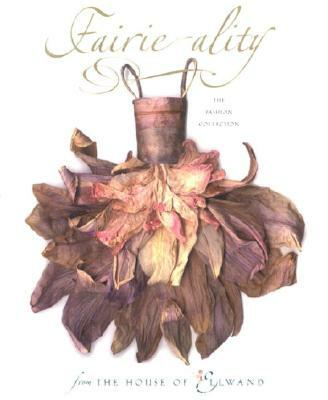 Filled with authentic fairie lore that will lure fairie lovers by the legion, this superbly designed volume also offers many clever nods to human fashion history. Its fun, fanciful costume descriptions will amuse the fashion-savvy everywhere, while the stunning array of fashions themselves – a veritable dress-up dream –will leave readers of all ages spellbound. Eugenie Bird is a writer who leads a busy life covering the newest developments in the world of fairie HAUTE COUTURE while flying between homes in the Middle West and New England. Her farm is a well-known gathering place of FASHIONISTAS searching for tranquility away from the hurly-burly of New York, London, and European fashion centers. David Downton’s renowned and widely published portraits of fashions and super-models, winged and unwinged, have earned him fame in both style circles. In the human milieu, he is considered one of Europe’s leading fashion artists, known for interpreting the designs of Dior, Chanel, Valentino, and Lacroix at the haute couture shows in Paris. His illustrations have appeared in such top fashion magazines as VOGUE, ELLE, and MARIE CLAIRE.